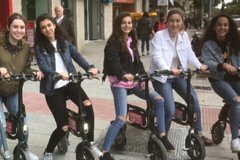 You will visit the best places from the RETIRO PARK of Madrid, enjoying the freedom and the advantages of travelling in E-BIKE. This excursion of 90 minutes includes all the principal places of interest of the park. The tour can be adapted for children from 10 years and more.